Double your gift and double your impact! From now until the end of May, all first-time and one-time donations will be doubled by a generous donor. Your donations will help us train 150 more heroes - men and women around the world who are sacrificing their lives for the sake of the Gospel. 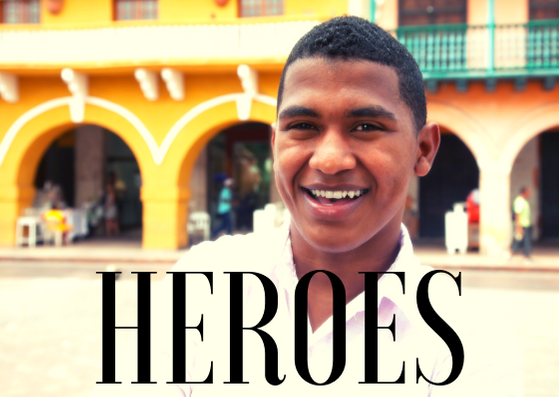 We want to come alongside these heroes and equip them with the training they need to transform their communities. Be part of their stories and donate today! We Train Leaders in Hard Places. Approximately 85% of the world’s churches are led by people with no ministry education. Most pastors and leaders in the developing world have no access to biblical education. We’re on a mission to change that. We have learned that one well-trained pastor can impact hundreds or even thousands of lives. Let’s impact the world together. The global church is growing rapidly! But there’s a problem - the number of trained church leaders isn’t keeping pace with this explosive growth. Keep reading to learn why this is such a serious obstacle for the spread of the Gospel around the world. Rather than treating symptoms, Global Action focuses on the root problem. We train and mobilize godly pastors and leaders so they can lead healthy churches that transform their communities. Our training doesn’t just provide knowledge - it changes lives and transforms ministries. Click here to meet some of our students and hear their amazing stories! We work with a highly skilled and dedicated team from all over the world. Meet the people behind the action! Global Action is on the Move! We’re growing! Big things are happening and we’re excited to share them with you. Check out our new weekly newsletter, Global Action on the Move, to stay up-to-date on what God is doing! Copyright (c) 1998-2019 by Global Action. All Rights Reserved.